Emerging consensus that LBJ killed JFK? More than a thousand of books have been written on the John F. Kennedy assassination, yet there remains much controversy as to what happened that day in Dallas. To the casual observer, the Warren Commission's narrative of three shots in six seconds by a lone gunman may appear to be plausible. Search a bit below the surface, however, and you find many inconsistencies that call into question the entire story. With the passage of time and information explosion online and in books, the scope of the conspiracy and the cover-up in the JFK assassination comes more clearly into focus to anyone willing to wade through it, and look at it with fresh eyes. Three books published in the time leading up to the 50th anniversary of the assassination present a common narrative that JFK was killed by a conspiracy led politically by Lyndon Johnson, and operationally by the CIA and J. Edger Hoover. In their books, The Man Who Killed Kennedy: The Case Against LBJ, by Roger Stone; LBJ: The Mastermind of the JFK Assassination, by Phillip F. Nelson; Who Really Killed Kennedy?, by Jerome R. Corsi, the authors explain the psychology of LBJ, and how he conspired to bring together the details of the plot, and the cover-up that followed. In them, we learn about a rush to advance the lone gunman narrative, about how evidence was mishandled and destroyed by the cleaning and refurbishment of the limousine, and how two mishandled autopsies on JFK's body forever buried evidence that could explain much of what happened. We also learn how the plot was to unfold, how the CIA was to bring in the sharpshooters and provide the patsy to take the blame. We learn how the FBI, on authority by LBJ himself, would handle the cover-up, and how LBJ would then appoint a blue-ribbon commission who would confirm the cover-up of the prearranged narrative. Lyndon Johnson was a loutish psychopathic willing to do anything to advance his rise to power. His rise was fueled by graft, corruption, and murder. Yes, murder. LBJ's hitman, Malcolm Wallace, had killed seven other people in Johnson's rise to power, including LBJ's own sister, Josefa Johnson. LBJ's high handed wheeling and dealing knew no bounds other than what he could keep from public exposure. Johnson was a ruthless politician who would go to any lengths to attain the presidency, including killing the president in order to assume his job. It is not much of a stretch to see a personality of his type behind the conspiracy. The assassination of a president itself is shocking enough, but to think the succeeding president was behind the killing was beyond outrageous. It was unthinkable. Yet that is the truth we must face. Indeed, the public never seriously considered that possibility, and gave LBJ a benefit of the doubt he did not deserve. You do not have to be a forensic expert to know that more than one individual was involved in the assassination. A lone gunman would fire three shots in roughly equally spaced intervals. Witnesses on the plaza heard a shot, a pause, and then two more shots in rapid succession. This alone indicates more than one gunman was involved. Yes, there were shots from the rear of the motorcade, but there were no eyewitnesses to Lee Harvey Oswald as the gunman. Oswald's rifle had a misaligned scope and a malfunctioning magazine receiver. Oswald was a mediocre shot it best. To accurately shoot three shots in six seconds by an expert sharpshooter with a functioning sniper rifle would be almost impossible. In fact, it has never been replicated. For Oswald and his malfunctioning rifle, it surely was impossible. Many believe the Zapruder film has been doctored and is not a reliable source of evidence. Yet in it, there is still sufficient reality to show what truly happened in those critical seconds. One sees the kill shot to JFK's head with an exploding type of bullet. JFK's head jerks left and rearward indicating he was struck from the right-front. Jacqueline Kennedy's climbing onto the trunk of the car to recover a piece of skull fragment confirms the kinetic force of the bullet spraying bone and brain matter rearward. This shows that the shot was not possible from the School Book Depository to the rear. It had to come from the grassy knoll. In the seconds after the shooting, dozens of witnesses rushed to the sound of the gunfire on the knoll to find the shooters. They could still smell the gunsmoke in the air. Once there, some found official looking men brandishing credentials claiming to be the Secret Service. These agents were imposters. The Secret Service later said that they did not have any agents in that area until at least an hour later. Oswald was a CIA pawn, set up to be the fall guy. And in case you didn't know, he personally knew Jack Ruby. There were no fingerprints linking him to the shooting. The paraffin test on his cheek came back negative, indicating Oswald had not fired a rifle that day. Modern voice technologies have also determined Oswald was speaking the truth about his innocence. JFK started his presidency by botching the Bay of Pigs invasion. The failure was squarely his. For those in the Pentagon and the CIA, his appearance was weak at a time when America needed to show strength and resolve in the face of the increasing Soviet threat. In the year to come, the Bay of Pigs fiasco would lead directly to the Berlin crisis, and then to the Cuban Missile Crisis. Perhaps the CIA is somewhat to blame as well, but no matter. JFK fired CIA Director Allen Dulles and other CIA leaders shortly afterwards personalizing the distrust between him and the agency. In the summer of 1963, JFK had an epiphany of sorts, and sought a more peaceful dialogue with Castro and Khrushchev. Gone were his "go anywhere, pay any price" inaugural ideals. His June speech at American University gave voice to his new attitude. At the same time, Vietnam was spiraling out of control. Hardliners wanted a strong response in Vietnam, and Kennedy was not to give it to them. That fall, JFK decided to pull troops out of Vietnam by 1965. With the hindsight of 50 years, this was the right decision, a true profile in courage. But with his failure at the Bay of Pigs, Kennedy had no credibility with military leaders, or with the CIA. To them, his decision to go soft on the Soviet Union, Cuba, and Vietnam amounted to treason, and it set events moving toward a fateful day in Dallas. As the rift between Kennedy and hardliners widened, into the void stepped Lyndon Johnson. Never to let an opportunity go to waste, LBJ found the ultimate solution to his Bobby Baker scandal that was coming to a boil on Capitol Hill. LBJ's days were numbered, and he was facing possible prison time. Kennedy was already showing signs that Johnson would be dumped from the 1964 ticket. With his ruthless drive for power, and RFK as the likely successor to the JFK legacy, LBJ would be out in the cold, except of course, if he could pull off the crime of the century, kill JFK, and garner public support in the process. Oliver Stone produced the movie, JFK, based on Jim Marrs' 1989 masterwork, Crossfire: The Plot That Killed Kennedy. In the book and in the movie, you get a scattershot of diverse motives and factoids, but not the plausibility of it happening in concert. It was the CIA, the FBI, the mob, Texas oilmen, Dallas Police, the Secret Service, and so on. Too many people involved, too many loose ends, too many ways for the secrets to come out. Missing in both accounts was a central figure in the assassination plot. If there was a conspiracy involving the mob, the FBI, the CIA, the oilmen in Texas, Lyndon Johnson would have had to be involved. Anybody he could not payoff, intimidate or bully into a corner, LBJ would just have them put away. This was as true for JFK as it was for anyone else. Lyndon Johnson is the key to the Kennedy assassination. Johnson had the most to gain. He had the means and the motive to bury the facts. There was nobody with the leverage he had. He was the Vice President, and if he wanted to kill the president, he had the ability to do so by corrupting a wide array of people to do the deed and cover it up. LBJ was sufficiently ruthless to do whatever it took. 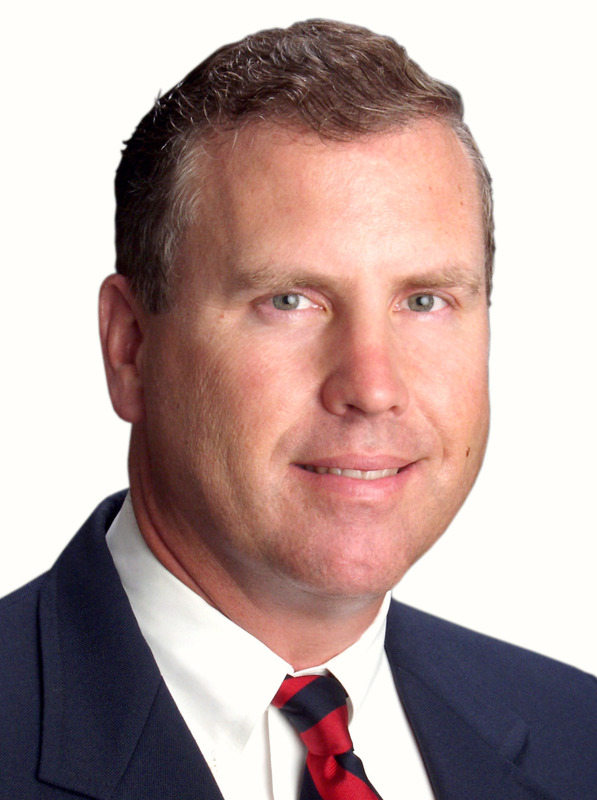 For many years, Johnson was a neighbor and a close confidante to J. Edger Hoover, Director of the FBI. Normally, people like him would be in jail, but in LBJ's case, he held much sway with Hoover and the justice system. JFK, however, planned to force Hoover out in 1965 with the mandatory retirement at 70 for all federal employees. With LBJ in the White House, the Bobby Baker Scandal investigation would be dropped. LBJ correctly calculated a grieving nation would rally behind him as JFK's successor. Johnson would then have avoided political exile and incarceration, Hoover would get a lifetime tenure in the FBI, the CIA would have their war in Vietnam, big oil would have a politician in office to legislate in their favor, and the mob would have someone to call off the dogs. It all hinged on the narrative of Kennedy being killed by a crazed lone gunman. Johnson met the night before the assassination with the Suite 8F Group of co-conspirators at the Dallas home of Clint Murchison to finalize details of "The Big Event," as it was called. Johnson's mistress, Madeleine Brown, told investigators years later that Johnson told her that evening, "After tomorrow, those goddamn Kennedys will never embarrass me again. That is no threat. That is a promise." LBJ was in the pale blue Lincoln in the motorcade, two cars back from the President's car. 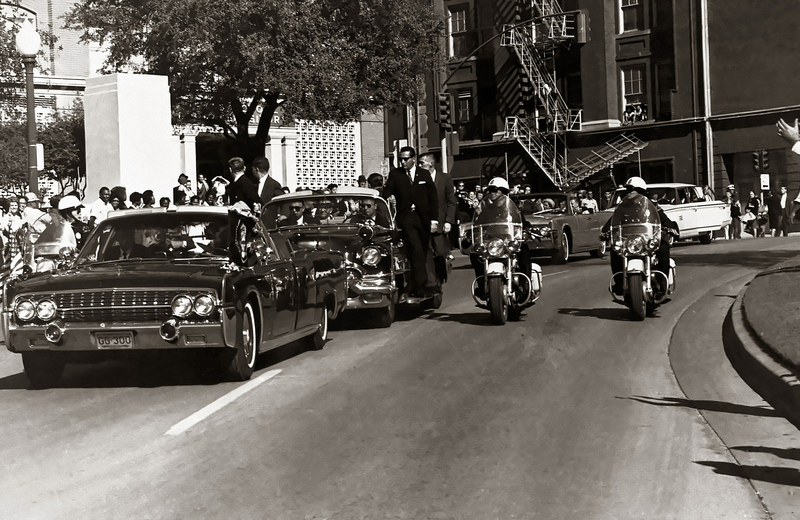 LBJ was seen to be ducking low in his car as it approached Elm Street even before the shots were fired. He knew the shots were coming, and he was trying to take cover. Moreover, Malcolm Wallace's fingerprint was found on a box in the sniper's nest of the School Book Depository. Within minutes of the shooting, a general description of the suspect fitting Oswald hit the newswires. So started the Oswald frame-up on the lone gunman narrative, and woe to anyone who might know too much and inadvertently tell the truth. It is astonishing how many witnesses to the assassination met untimely and abnormal deaths. In his book, Hit List, Richard Belzer estimated that in the 14 years that followed, of the 1400 witnesses involved, 70 had died by homicide, suicide, or by some other unnatural way (an extremely improbable statistic). Most notable among them are William Pitzer, Guy Bannister, David Ferrie, Dorothy Kilgallen, Lee Bowers, Mary Pinochot Meyer, Sam Giancana, Johnny Roselli, and George deMohrenshildt. Allen Dulles, having been fired as Director of the CIA, loathed Kennedy. This attitude was found throughout the agency. It would not be difficult to find individuals to participate in the plot. Dulles, through his contacts may have provided many of the resources. After the assassination, LBJ named him to the Warren Commission, which would then overlook and cover-up much of the evidence. Johnson and Hoover's involvement of the assassination begs the question on whether they were also involved in the Robert Kennedy assassination. They knew that if RFK became president in 1968, their cover-up would likely be revealed. The JFK and RFK assassinations are likely linked according to Roger Stone. With the perspective of time, and dedicated research by countless individuals, we now know the central figure in the plot and the cover-up was Lyndon Johnson, and with him, the narrative comes more clearly into focus. However, the larger implications of our nation's history, and what we think of ourselves, are more muddled than ever. Lyndon Johnson, as a psychopathic serial murderer, is not a pleasant topic to think about for establishment liberals who like to think of him as a belated champion of civil rights, voting rights, and a slew of Great Society programs. In fact, acknowledging the JFK assassination for what it was – a coup d'état – is discrediting to the narrative of the United States as a beacon of democracy, freedom, and justice as well as a place that is morally superior to banana republics and third-world dictatorships. Establishment conservatives, just like the liberals, choke on that bone in unison. The JFK Assassination is, by far, the biggest cover-up in American History, the consequences of which still reverberate loudly over the American political and social landscape. For the public, the shock of the assassination was terrible enough. But to even think that the Vice President was behind a coup d'état was just unbelievable. Johnson used this disbelief to his advantage, and covered up the truth until years after his death in 1973. More than fifty years later, what does revelation of a coup d'état in the United States mean? That is a huge question. Who we are and who we wish to be as a nation was severely damaged that day. Because of the assassination, the trust in government by many citizens was lost, perhaps forever. America lost its innocence in this horrendous event, and the lessons learned have yet to be publicly discussed. With the passage of decades not knowing the truth, and a now a majority of Americans born after that fateful day, we stumble on as a lesser people. It is time to set the record straight.